Sometimes we feel that if we put all of our focus into one thing, we’ll excel at that chosen discipline or sport. But when you’re talking about young athletes and sports, studies have shown that taking a multi-sport approach can lead to better performance and less burnout. So if that’s the case for our children and sports, shouldn’t we take that into consideration for ourselves in the saddle? I am a big proponent of changing things up in the gym and in the barn. At one point I was riding a hunt seat horse, while competing in rodeo events and showing in reining. I used to say it was because I didn’t like to get bored, and while that is true, I think the underlying reason was because I wanted to get better at riding and at my craft. 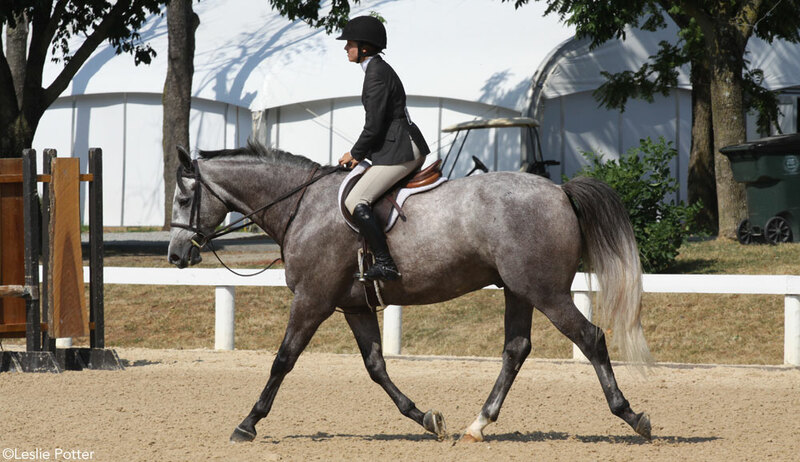 Megan Stout is an eventer-turned-reiner-turned-foxhunter-back-to-eventer, and she agrees with Katy about increasing awareness in your body position in the saddle when it comes to switching disciplines. The change in disciplines is also good for your mental strength. 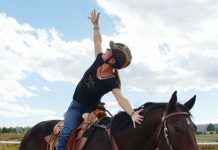 Instead of letting your mind get stagnant doing the same things over and over, when you’re experiencing a new sport, you’re engaging your brain to think about what your body is doing and what your horse is doing. It’s also a change of pace for your horse. 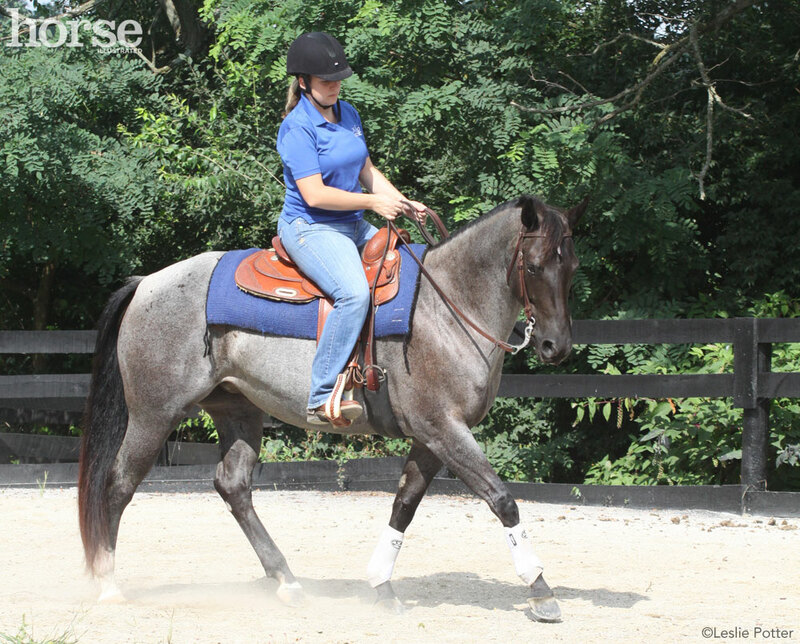 Practicing the same exercises over and over can bore or even frustrate your horse. Jen Robertson grew up showing Arabians in a multitude of different events and now rides and trains hunter/jumpers with her husband, but she still enjoys a trip outside of the jumping arena with their horses. 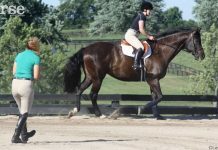 “We are probably very unorthodox when it comes to training, because on Tuesday our horses go trail riding, on Wednesday they are dressage horses, and on Thursday we are popping around the field over jumps,” she says. Robertson has applied things she’s learned from riding dressage to help all of her horses. She explained that dressage helped her be more aware of her balance in the saddle and helped develop and strengthen what was her weaker side. 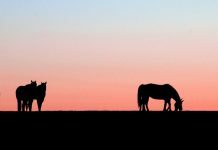 “There were times I thought my horse had problems bulging out one direction, but it turns out I was asking him to turn in a way that encouraged him to do so, because I wasn’t balanced,” she says. During what is typically the off-season for most horse owners (winter), Megan takes her fitness in the saddle to another level, by taking her eventing horse foxhunting through the fields of northern Alabama. Since she started the sport, she’s seen a big difference in not only her riding abilities, but in her overall fitness. What skills can you master during the off season that will improve your riding skills and overall fitness? Challenge yourself to try another discipline. Find those muscles and that skill you didn’t know you had to see the change you can make. Get more Fit Rider resources at HorseChannel.com/FitRider.